Stocks go south and President Donald Trump goes quiet. 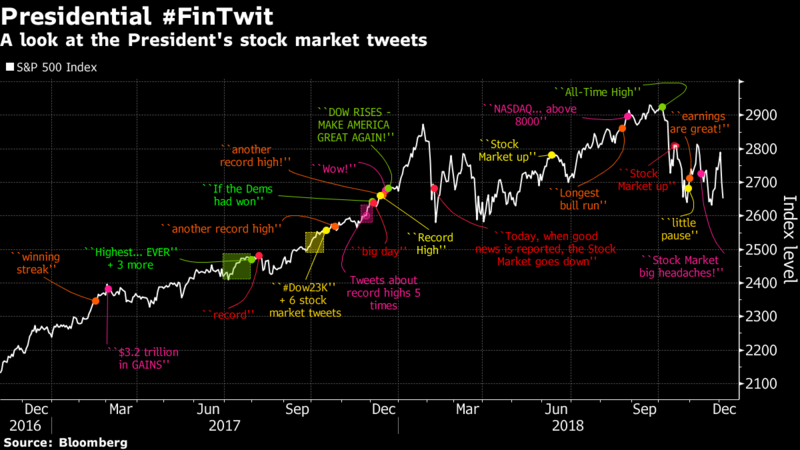 Since his election, Trump has tweeted about the stock market more than 35 times. Yet since Nov. 12, his social media account has been mum on the wild vacillations in U.S. equities. 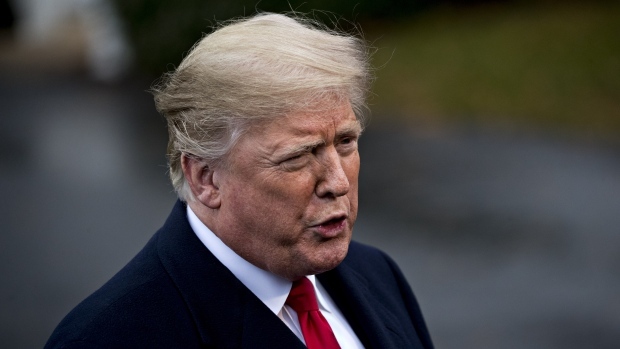 Continued bluster on U.S.-China trade, a flattening yield curve and predictions for a 2019 earnings slowdown have helped send the S&P 500 Index down more than 3 per cent since he last weighed in. It swung at least 1 per cent one way or the other on eight days in that span, and is now negative for the year. --With assistance from Eric J. Weiner.